Everlast manufactured leather boxing gloves, each individually signed by Muhammad Ali and Joe Frazier. 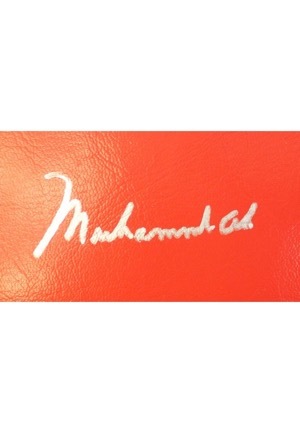 Ali signed the right glove in silver ink and in our opinion the signature rates a near 9. 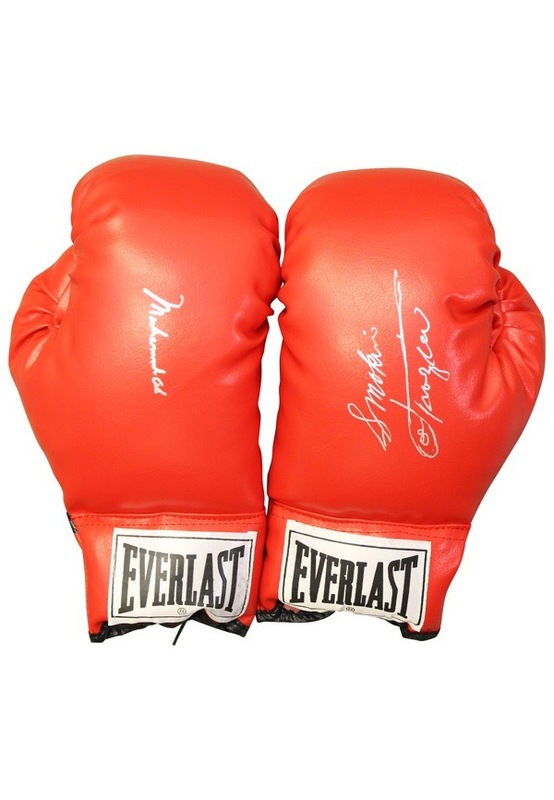 Frazier signed the left glove also in silver ink with the added inscription “Smokin” and in our opinion the signature rates a strong 8. Accompanied by a LOA from JSA.